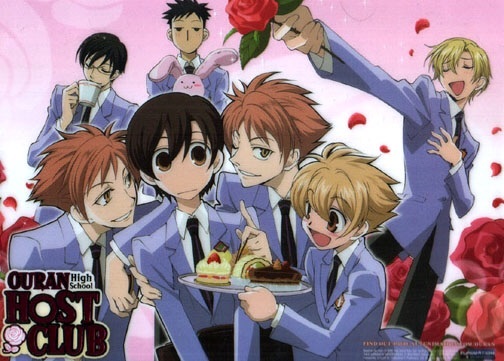 My inspiration for this was Tamaki the “King” of the Ouran High school Host Club. 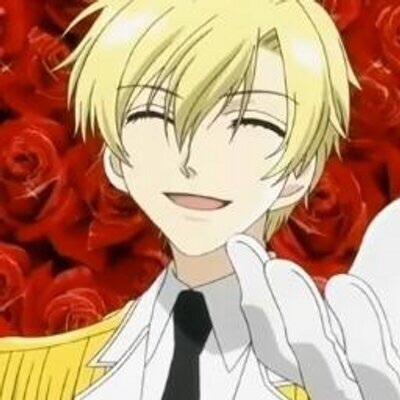 With a request rate of over seventy percent as noted by Kyoya Ootori. The crown symbolizes the king and the rose is a unmistakable if the series. 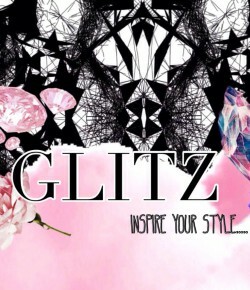 Roses are a popular decoration and background in the anime. 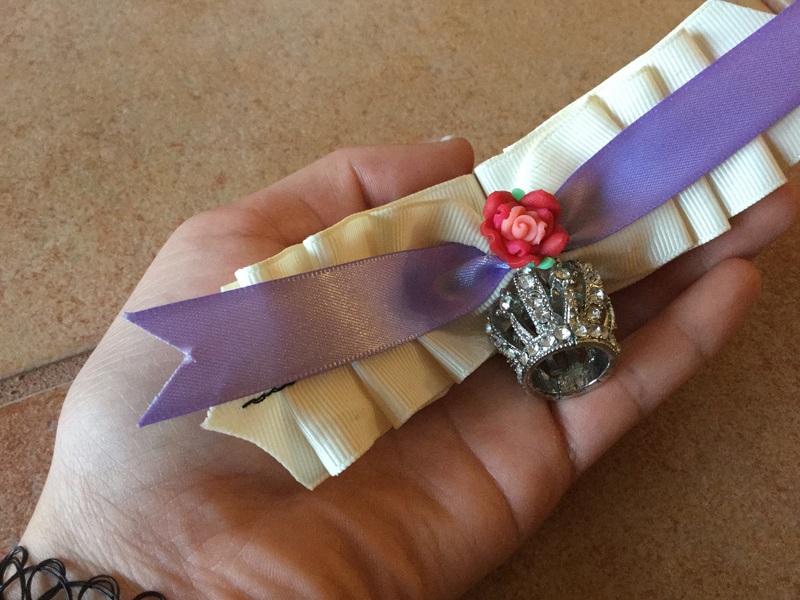 The purple ribbon and white ribbon a is a soft palate to go with the rich upper class feel and focus of the story. If your interested in watching this show go to Kiss Anime. To see last week’s Seraph of the End themed project click here. 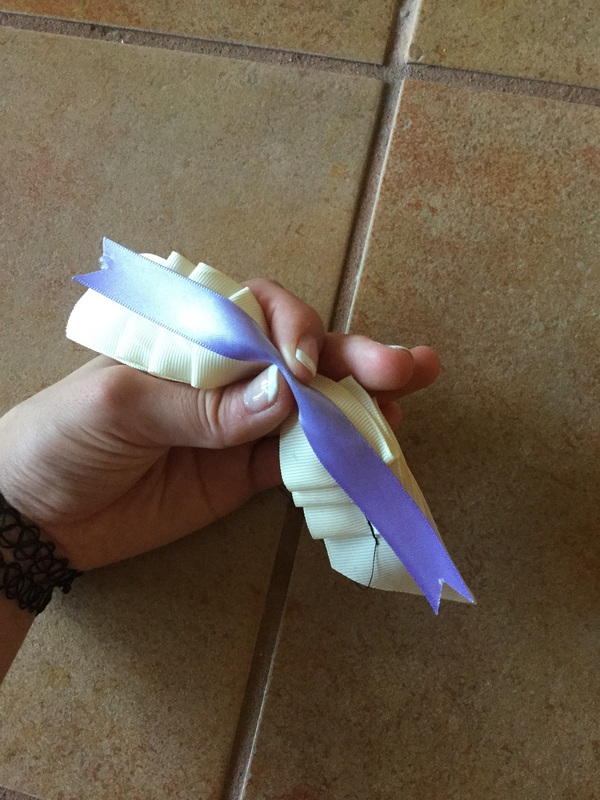 First cut two feet of the white ribbon and fold it into three ruffles, one end of the ribbon. Then do the same on the other end. 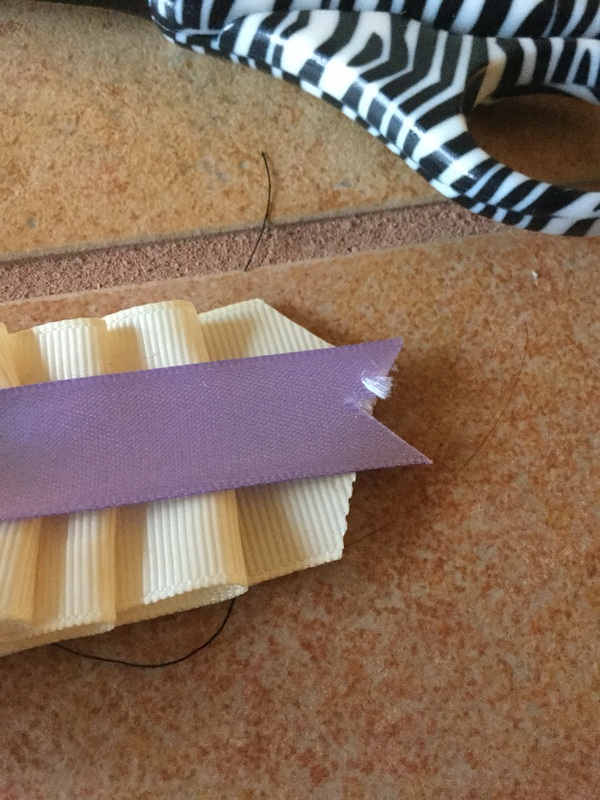 Then staple it in place avoiding the center of the ribbon. 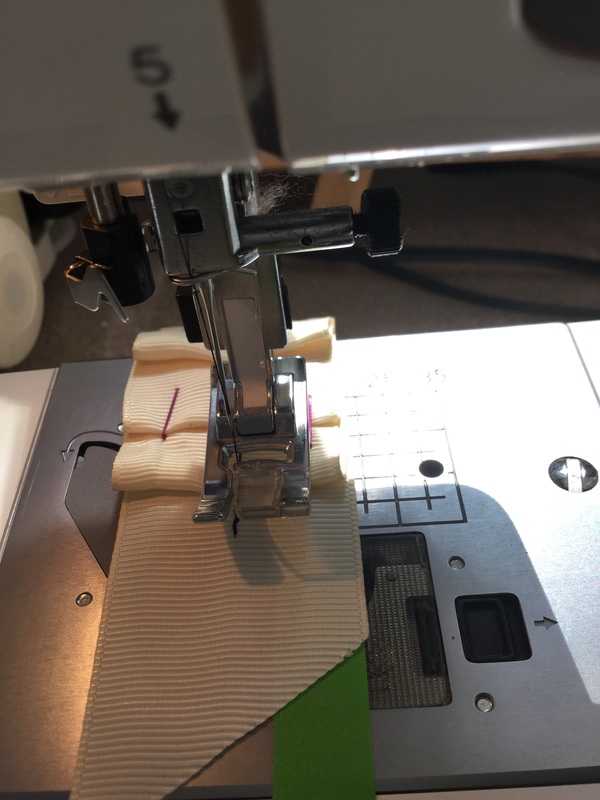 Next start your machine and sew down the center of the ribbon until you have a line. Now you can remove the staples. 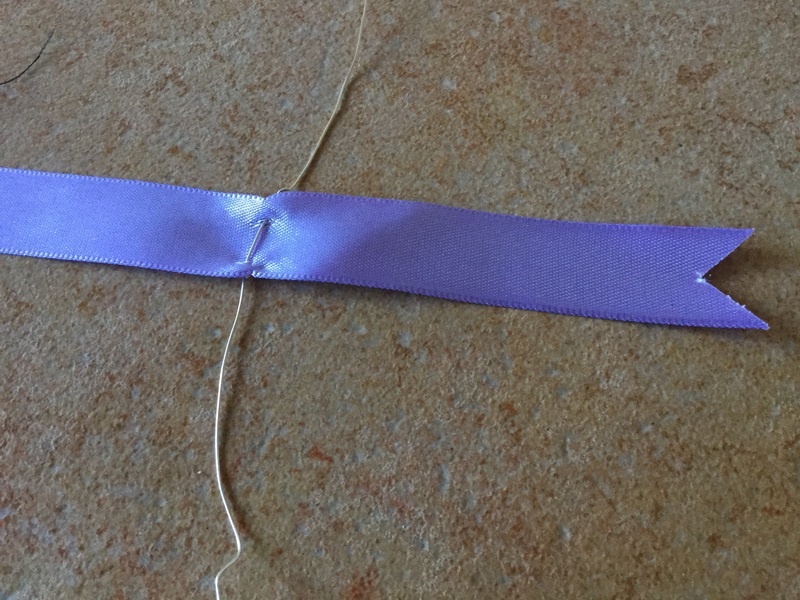 Cut a piece of the purple ribbon to the length you want. 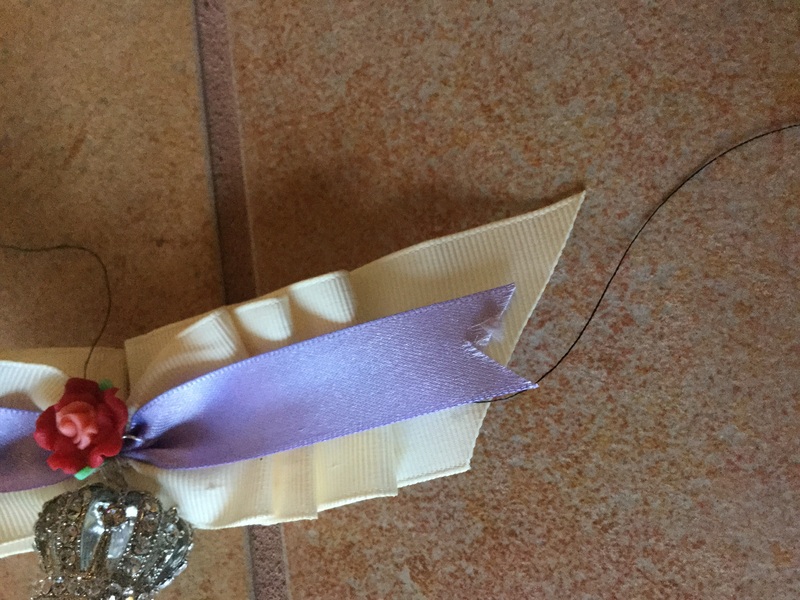 Trim the ends of the white ribbon to the desired length as well. Cut a four – six in piece of wire. 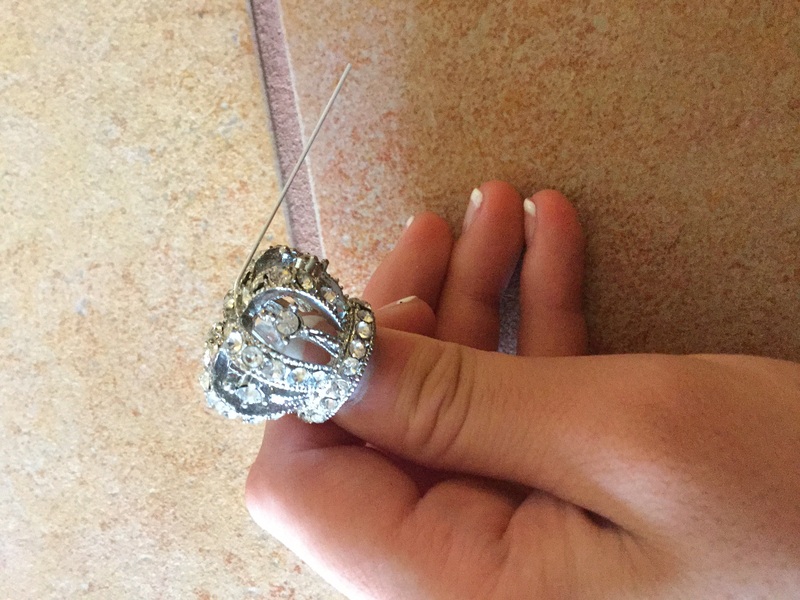 Poke holes in the ribbon’s center. 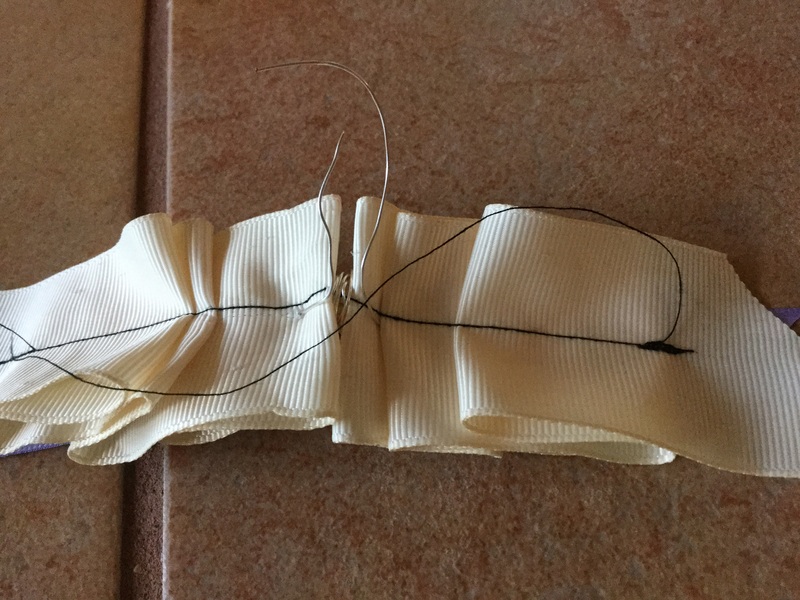 Thread wire through the holes then wrap it around the bow. 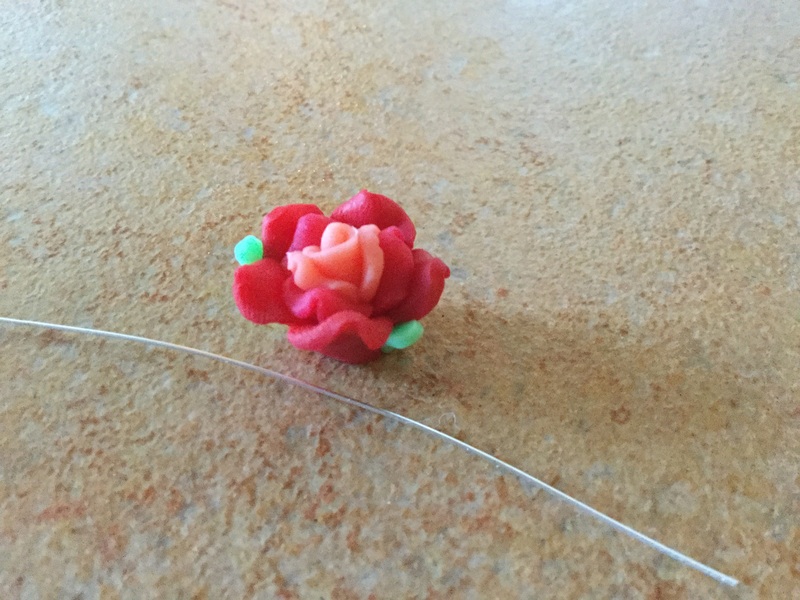 Then cut another piece of wire and thread the rose bead through. 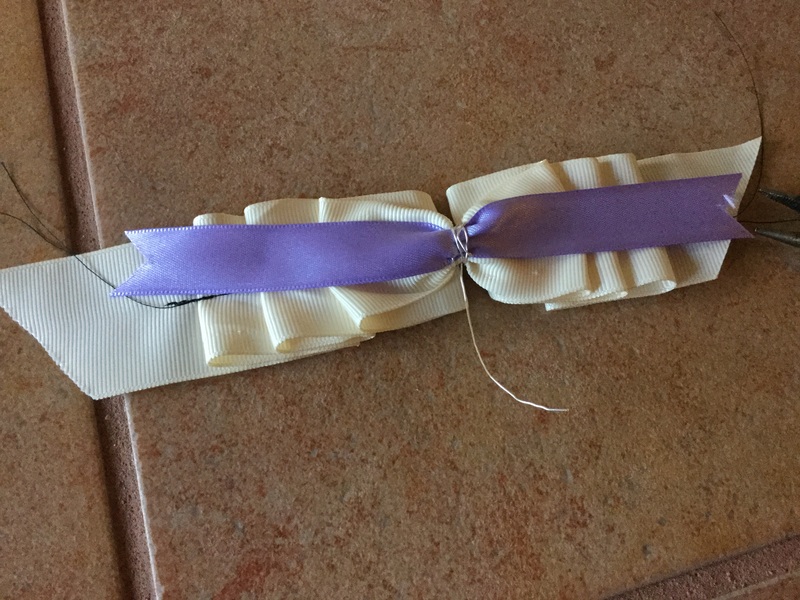 Then poke holes in the purple ribbon so the holes are horizontal. 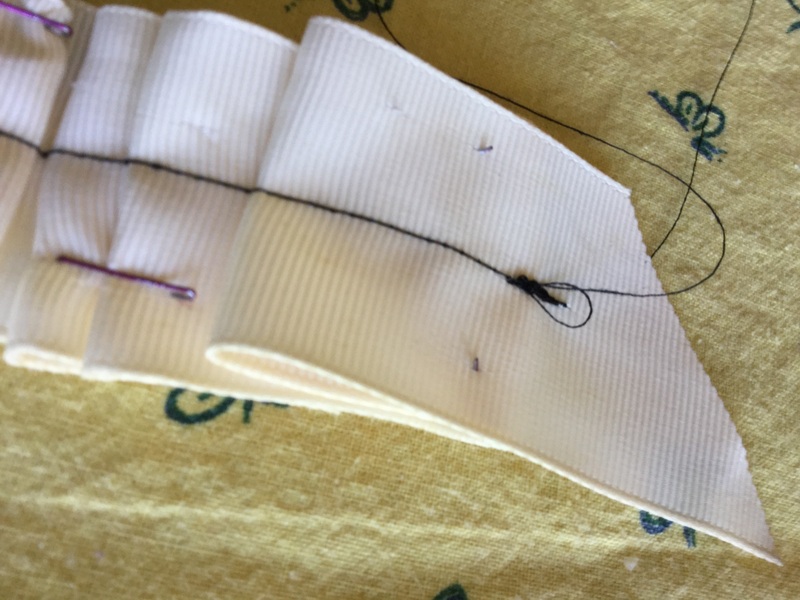 Then poke a hole through the white part of the in the same spots as the purple ribbon and thread the wire through. 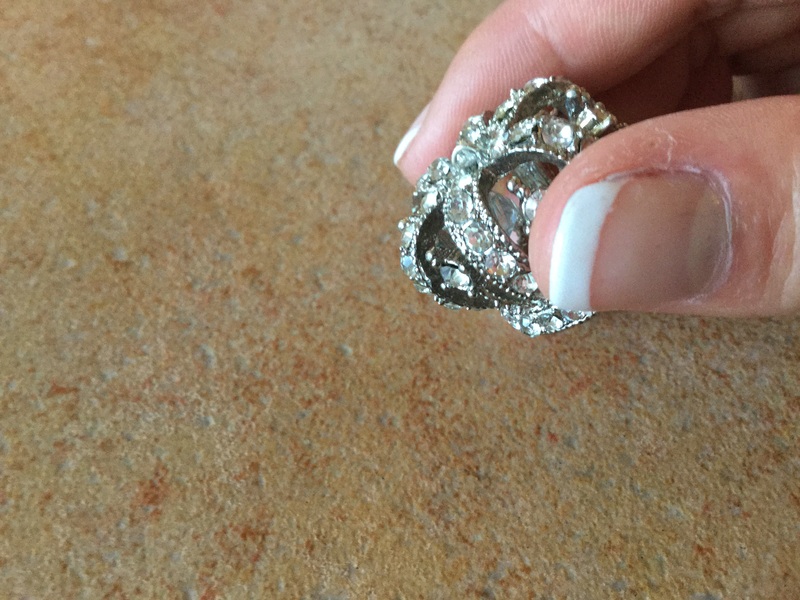 The wire should then protrude through to the other side. 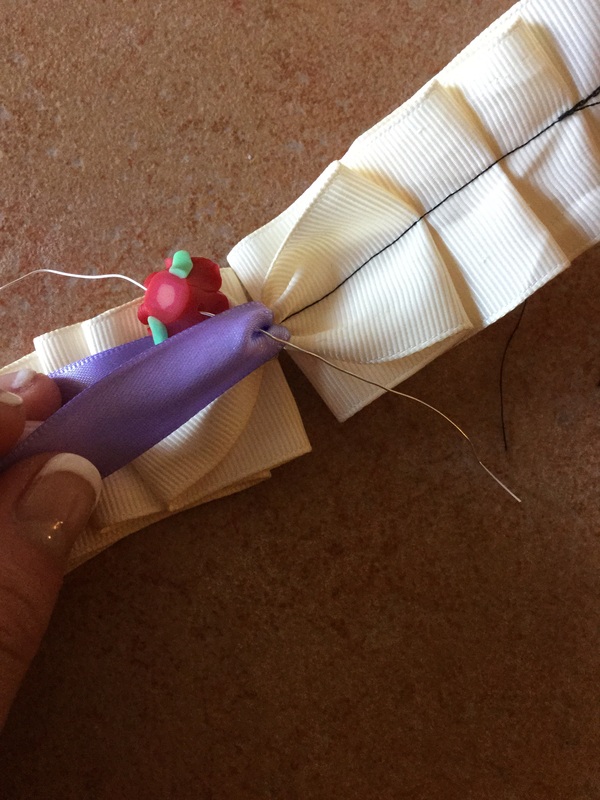 Then you can use the excess wire to wrap around a headband or clip. 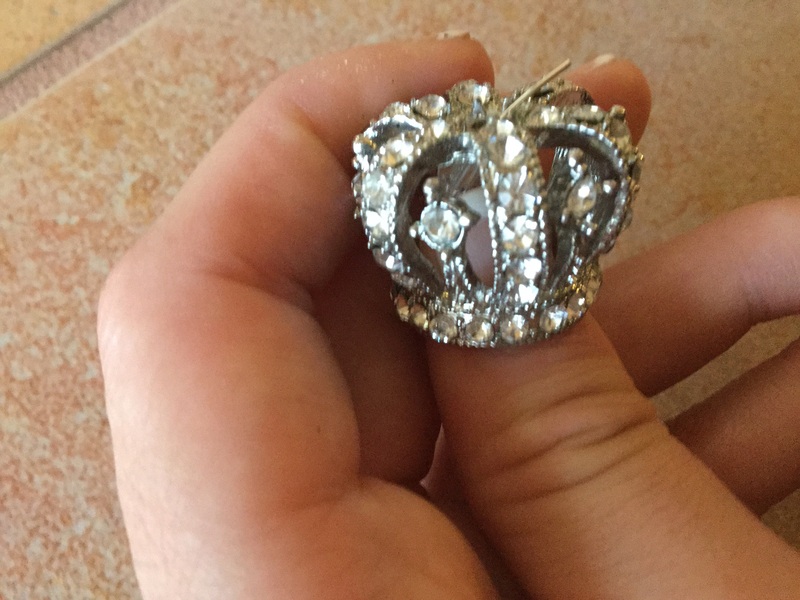 Put your your crown bead onto a headpin. If your using a charm and not a bead then skip this part. Then bend the top of the head pin so it’s 90 degrees to the bead. Then trim it so there’s only half a inch. 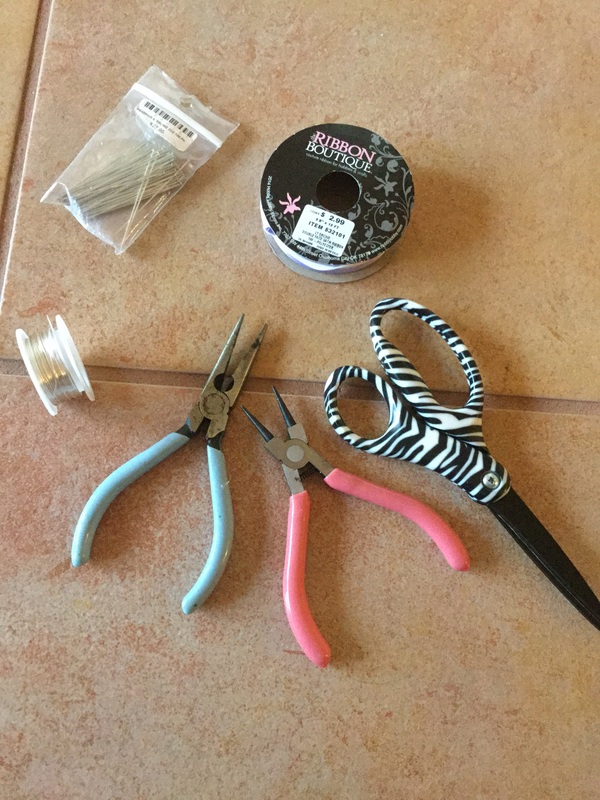 By using round nose pliers, make a loop by holding the end of the pin and turning it back toward the center of the bead. 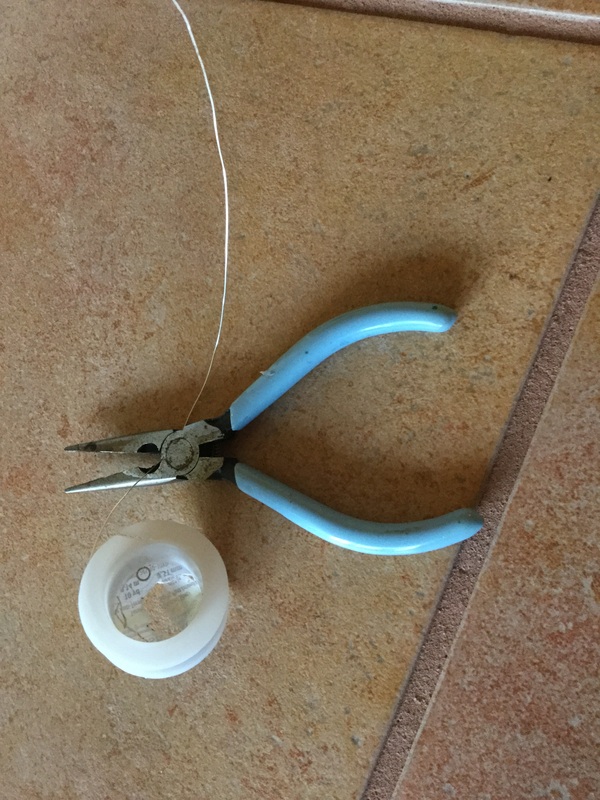 Use a jump ring or use wire to wrap around the bow’s center. 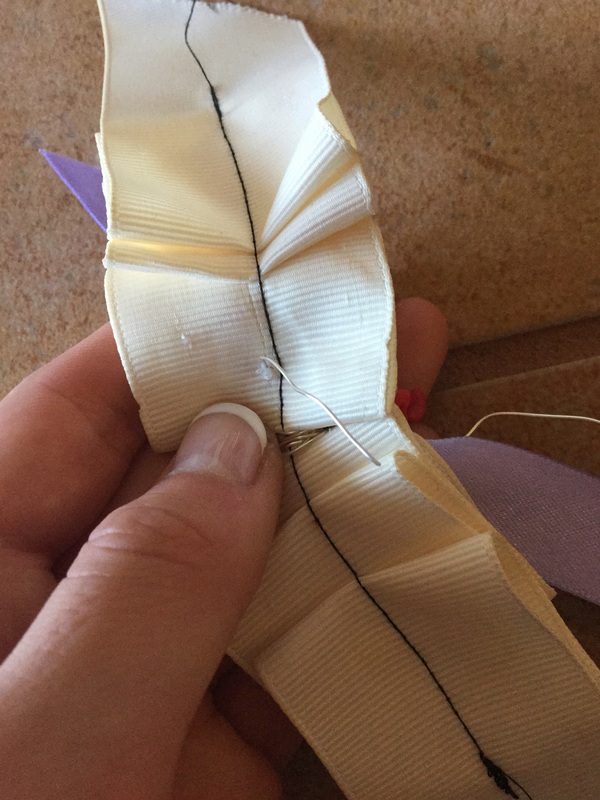 Trim the ends of the ribbon to the length a shape you want. 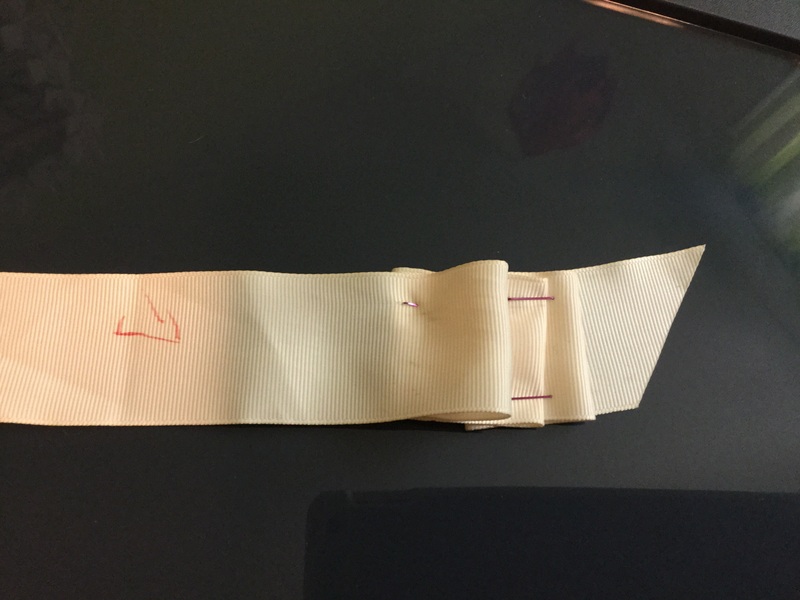 I chose to cut it to a triangular point at each end.